These strategies for Managing Anger are based upon Help Guide's, “Anger Management: Tips and Techniques for Getting Anger Under Control,”. Sometimes people feel they are easily agitated or easily angered, which can result in frequent arguments and fights. 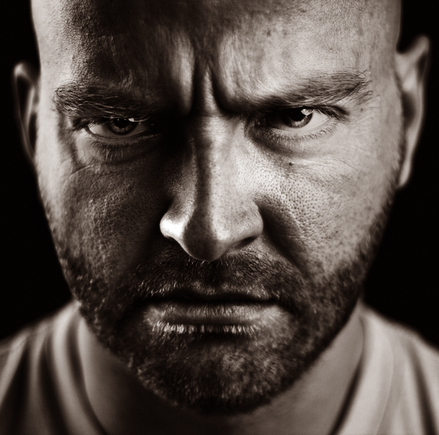 While anger can be a healthy emotion when it does not get out of control, chronic anger and explosive anger can affect all aspects of your life in destructive ways. Myth #1: I should vent my anger and let it out. Fact: Keeping anger in is not healthy, but exploding is not healthy either. Explosions that result in either verbal or physical abuse is not appropriate. Learning healthy ways to communicate your feelings of anger is the best way to let it out. Myth #2: Anger or aggression earns me respect and gets me what I want. Fact: Power is not earned by lack of anger management. HelpGuide explains that, “True power doesn’t come from bullying others. People may be afraid of you, but they won’t respect you if you can’t control yourself or handle opposing viewpoints. Others will be more willing to listen to you and accommodate your needs if you communicate in a respectful way.” Explosive behavior is scary. It is not power but abuse. Myth #3: I can’t control my anger. Fact: There are many therapeutic groups or individual therapies that can help teach people the appropriate ways to manage anger. There are evidence based programs that can help a person to manage their feelings of anger appropriately. HelpGuide explains that “You can’t always control the situation you’re in or how it makes you feel, but you can control how you express your anger. And you can express your anger without being verbally or physically abusive. Even if someone is pushing your buttons, you always have a choice about how to respond.” Many people already know how to express their feelings appropriately. If you do not know how to do this, seek professional help. Myth #4: Anger management is about learning to suppress your anger. Fact: Anger management is not about suppression or avoiding the feeling. Anger management is about appropriate expression. To believe that you will never get angry is not a realistic thought or expectation. Anger is normal. The goal of anger management is to learn how to express anger in constructive ways. Physical health is affected by out of control anger. 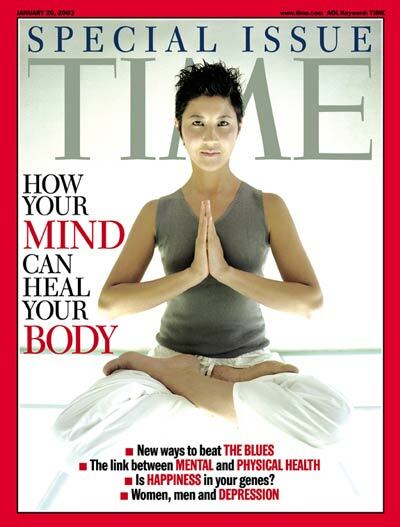 Chronic high levels of stress and tension is bad for your physical health. Having chronic anger and stress weakens your immune system and can cause health issues such as: heart disease, diabetes, high cholesterol levels, a weakened immune system, insomnia, and high blood pressure. Mental health is affected by out of control anger. Having chronic anger consumes huge amounts of mental energy. It can make it hard to concentrate, affect your thinking, and make it difficult to complete tasks. It can also lead to mental health specific diagnoses as: depression, anxiety and other mental health problems. Anger can hurt relationships with others. Having explosive or abusive behaviors can cause permanent damage, even to the people you love and that love you. It can have a profound affect on children. Do You Have An Anger Management Challenge? Do you have a hard time compromising? If it is hard for you to listen to or understand another person’s point of view, you may have an anger issue. Do you have a hard time compromising? Do you have an even harder time admitting you are wrong? These are all signs of an anger management issue. Is anger the emotion you express the most? Is it hard for you to think of any other emotions than anger, happy and sad? Do you have a hard time putting words to your feelings? Do you feel angry most of the time? These are all signs of an anger management issue. Anger Management Tip #1: What is behind your anger? Ask these questions of yourself: Is my anger masking other feelings such as embarrassment, insecurity, hurt, shame, or vulnerability? If you feel all responses are anger based or that is how you describe your feelings, it is likely that your temper is covering up your true feelings and needs. This is most typical if you grew up in a family where expressing feelings was strongly discouraged. Feeling like you are “going to blow” is not a healthy feeling. This feeling triggers our innate “fight or flight” system of the body. Understanding how anger is expressed in your body might make you more aware if when anger could become out of control. Identify the negative thought patterns that trigger your temper. You may think that external things—the insensitive actions of other people, for example, or frustrating situations—are what cause your anger. However, anger problems have less to do with what happens to you than how you interpret and think about what happened. Obsessing on “shoulds” and “musts.” Having a rigid view of the way things should or must be and getting angry when reality doesn’t line up with this vision. Mind reading and jumping to conclusions. Assuming you “know” what someone else is thinking or feeling—that he or she intentionally upset you, ignored your wishes, or disrespected you. Collecting straws. Looking for things to get upset about, usually while overlooking or blowing past anything positive. Letting these small irritations build and build until you reach the “final straw” and explode, often over something relatively minor. Blaming. When anything bad happens or something goes wrong, it’s always someone else’s fault. You blame others for the things that happen to you rather than taking responsibility for your own life. Once you know the triggers and warning signs, you can use techniques to calm dowm when you start to feel your temper rising. Focus on the physical. If you know your heart rate is increasing or your hands are starting to clench, you can take deep breaths to slow down your heart rate. Breathe in deeply through your nose and exhale slowly out your mouth. Exercise. Take a walk or short jog. Releasing extra energy can calm you down. Try relaxation. Meditation, yoga, listening to music and even aromatherapy can help you remain in control of your emotions, including anger. Slowly count to ten. Focus on the counting to let your rational mind catch up with your feelings. If you still feel out of control by the time you reach ten, start counting again. "How important is it in the grand scheme of things? Is it really worth getting angry about it? Is it worth ruining the rest of my day? Is my response appropriate to the situation? Identify what you’re really angry about. We all have had situations where we have become angry over something small. When you start becoming angry, ask yourself “What am I really angry about?” Identifying the real source of frustration will help you communicate your anger better, take constructive action, and work towards a resolution. Fight fairly. It’s okay to be angry, but identify the real feeling. Are you frustrated, agitated, disappointed, etc…. When you are angry make sure you fight fair. Fighting fairly allows you to express your own needs while still respecting others. Focus on the present. Only discuss the situation at hand. If you throw in issues from the past, the person is most likely going to become defensive and start arguing about the past. .
Forgiveness. Resolving conflict is impossible if you’re unwilling or unable to forgive. Resolution lies in releasing the urge to punish, which can never compensate for our losses and only adds to our injury by further depleting and draining our lives. Know when to let something go. If you can’t come to an agreement, agree to disagree. It takes two people to keep an argument going. If a conflict is going nowhere, you can choose to disengage and move on. Therapy for anger problems. Therapy can be a great way to explore the causes of your anger. If you don’t know why you are getting angry, it’s very hard to control. Therapy provides a safe environment to learn more about your reasons for bein and identify triggers for your anger. It’s also a safe place to practice new skills in expressing your anger. Anger management classes or groups. Anger management classes or groups allow you to see others coping with the same struggles. You will also learn tips and techniques for managing your anger and hear other people’s stories. For domestic violence issues, traditional anger management is usually not recommended. There are special classes that go to the issue of power and control that are at the heart of domestic violence.